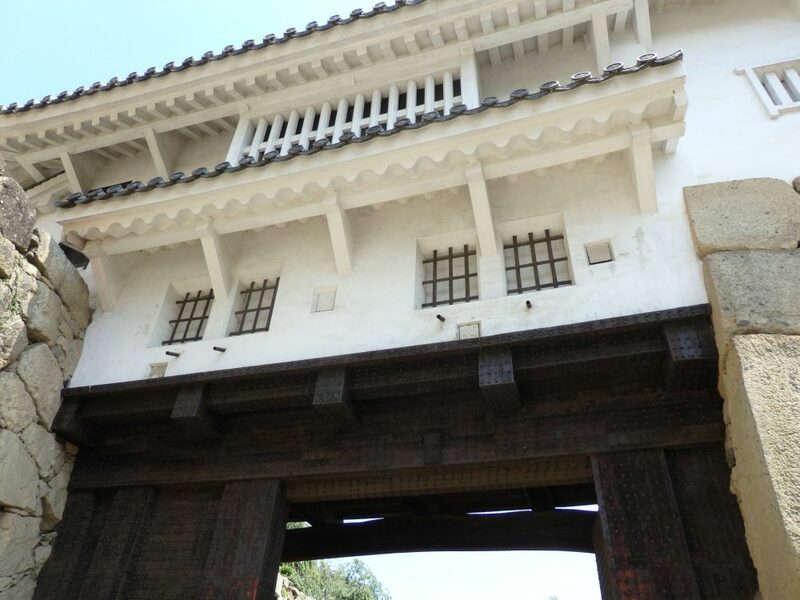 While there are other things to do in Himeji, Himeji Castle, a UNESCO World Heritage Site, is why tourists go to Himeji and it was why I was there. Entering the main concourse of the train station, looking out the main glass doors down a long, wide street lined with ordinary city buildings, concrete and glass and generally unremarkable, I realized I didn’t need to ask: far in the distance, on the horizon, down that street, I could see it. View from the front of Himeji Station looking toward the castle, visible in the distance. 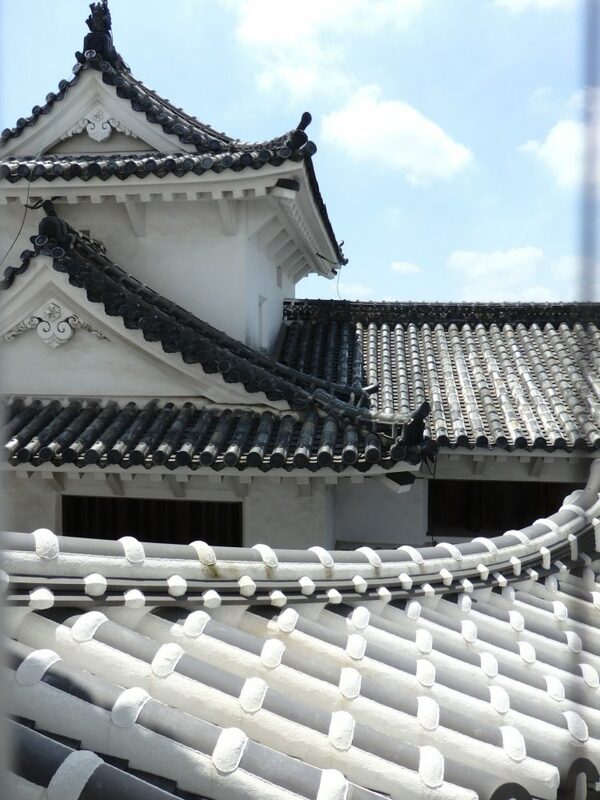 Built in the early 1600s, Himeji Castle is known as the White Egret Castle because of its striking white color. It was the center of a feudal domain (a shogunate) until 1868. While some of the other buildings on the property were destroyed later, the castle itself is original and has been carefully preserved using authentic materials and techniques as much as possible. Close up, the castle is just as impressive. Like Matsumoto Castle, the main keep was mostly designed for defense in battle, but the other surrounding buildings give a better idea of how the lords of the castle and their families lived. 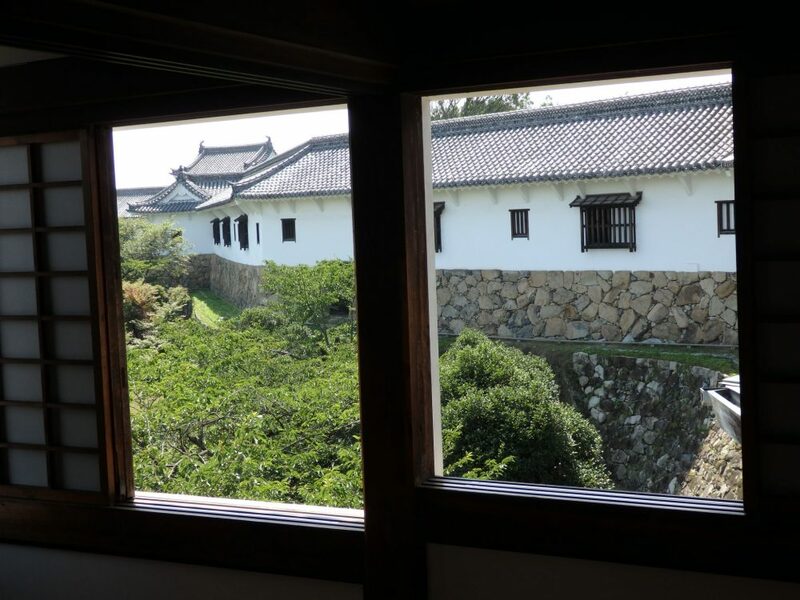 Like at Matsumoto, holes in the wall allowed shooting with arrows and guns, and downward openings allowed stones to be dropped on invaders. A series of gates block access to the keep, and the keep itself stands high up on stone walls, with a commanding view in all directions. Yet, despite its military purpose, beautiful workmanship is clear throughout the castle, the other buildings and the grounds. Details like the decorative tiling, the white plasterwork, and some of the living space interiors make the whole compound truly special. It took me a while to get to the main keep of the castle, largely because every turn in the road up the hill revealed a slightly different view of that beautiful building and I had to stop and take a picture. It’s a long climb as well, so a slow walk in that heat was probably the best plan anyway. After the customary shoe removal, visitors follow a route through the castle all the way, eventually, to the 6th floor, allowing a view back down that city boulevard. Along the way, signs in English and Japanese explain aspects of the construction of this massive wooden building, as well as what each space was used for. I was amazed to think of the effort that must have gone into building something so large and heavy in the 17th century. The main supporting pillars, for example, are absolutely massive and began to give out not long after the building was finished. They had to be shored up. Just looking at the sheer size of the building, all six floors of it with massive wooden beams for each layer, it’s hard to imagine the technical skill it took to create and maintain such a structure. After climbing down again, I explored the West Bailey, fascinating because it was a living area. The Cosmetic Tower, in particular, gave me more of a picture of the castle as a home, rather than as a place of battle. 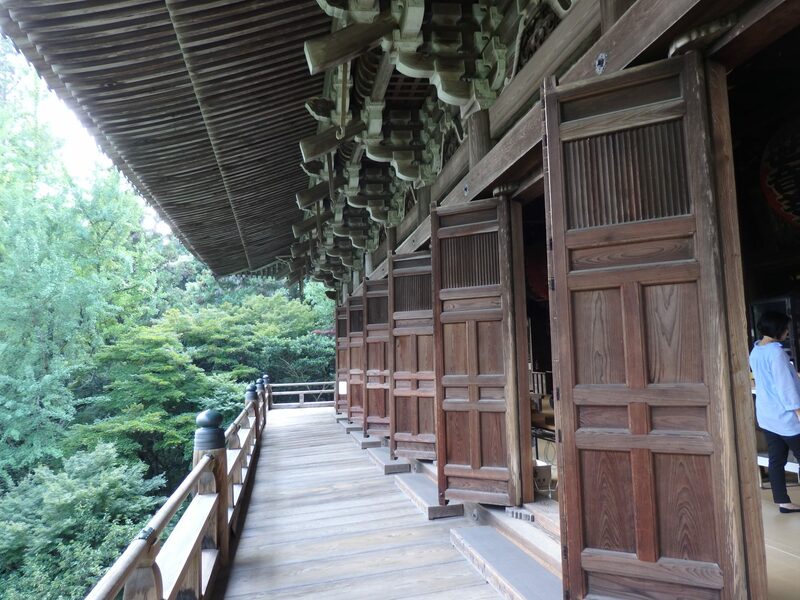 Like all of the historic buildings I visited in Japan, there is no furniture to speak of, but I used my imagination, picturing tatami mats covering the floor, low tables, people kneeling on cushions, women in kimonos and men in traditional robes. 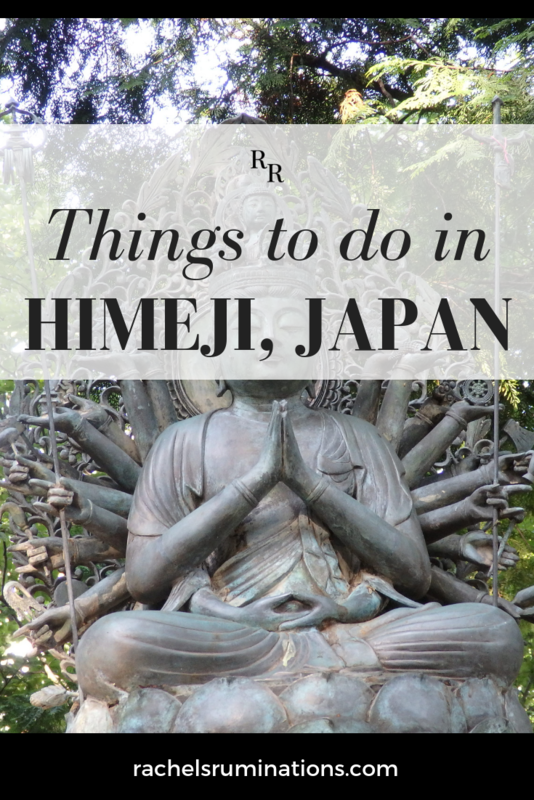 The main things to do in Himeji are the castle, Engyoji Temple, and Kokoen Garden, a small Japanese garden next to Himeji Castle. 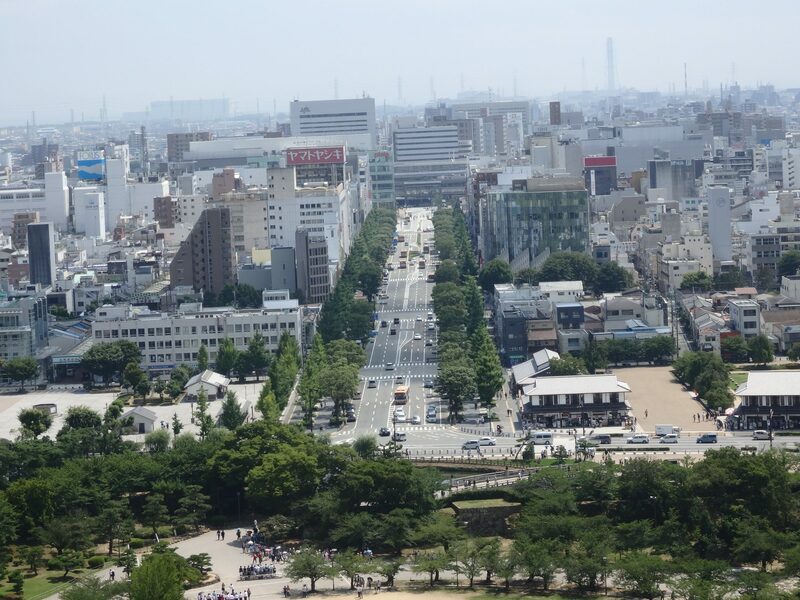 I went to Himeji as a day trip from Kyoto, and only had time for one more sight. 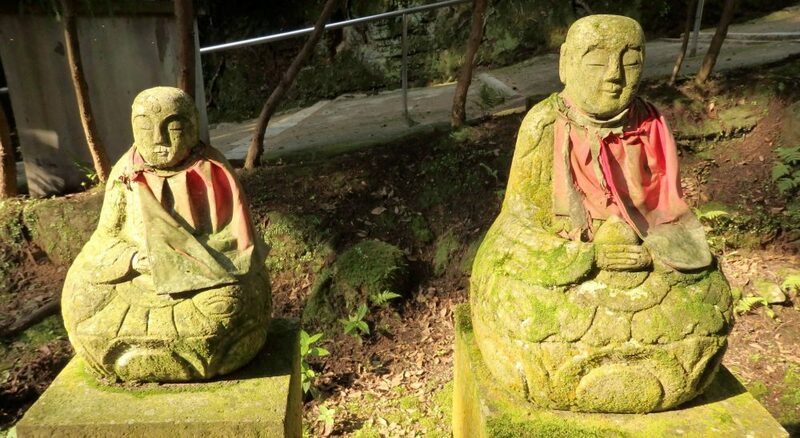 I chose Engyoji Temple, which sits on top of Mt. Shosha. It is known as a filming location for “The Last Samurai” with Tom Cruise. By this time I had visited a number of temples, so I chose this destination more for the views than for the temple itself. I took a bus to the base of the mountain where a cable car takes visitors up, in a steep but short ride. Compared to the one I took in Hong Kong, this was a breeze! Arriving at the top isn’t really arriving at the top. It’s a long walk to reach the temple itself (or rather, temples, since there are a number scattered around the various lanes in the forest). 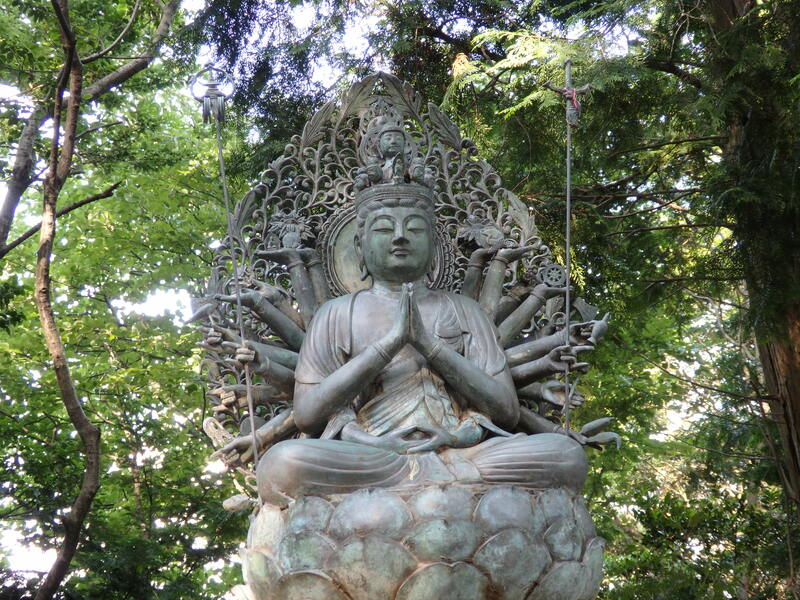 The walk is pleasant and forested, and the path is lined with a series of god and goddess statues. For the people who made pilgrimages to this holy place before the cable car was built, it must have been a difficult climb, especially in hot weather. The various buildings date back centuries, but most were destroyed and rebuilt in the 20th century. The main temple, called Maniden, makes an imposing impression, the way it is set on the hill among the trees. 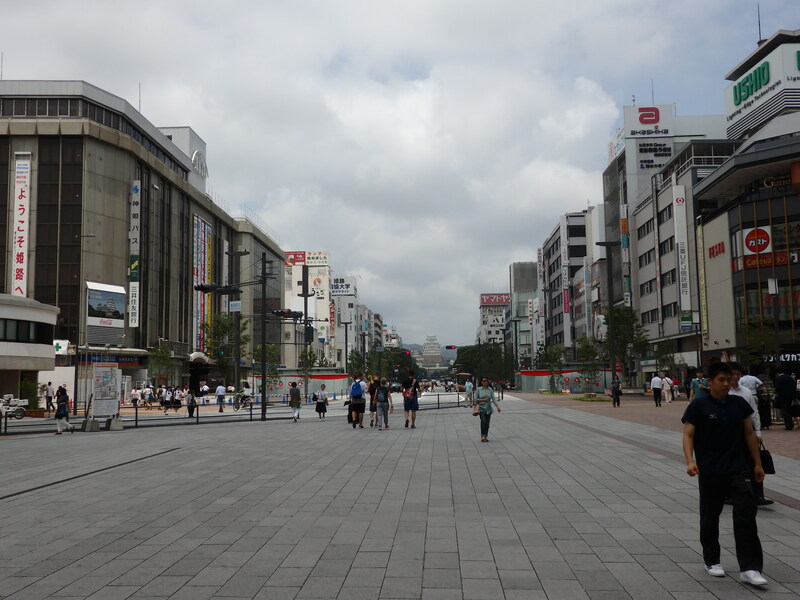 Compared to the crowds at Himeji Castle, few tourists were here. I got the feeling that of the few people visiting, most had come at least in part for religious purposes. Exhausted from all the walking I’d done that day, I was glad to make my way back to the cable car, then to the bus, then to the train back to Kyoto. 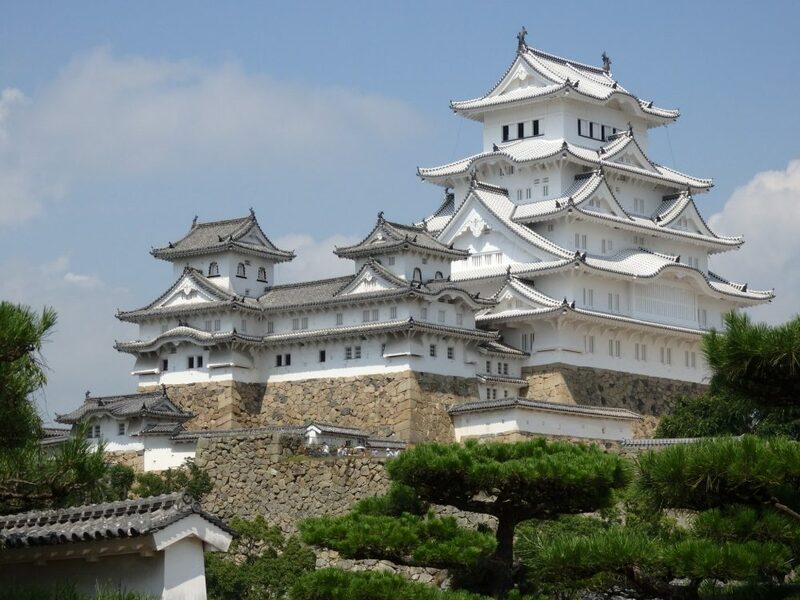 For me, Himeji, especially the castle, was a highlight of my trip to Japan, along with Nikko. 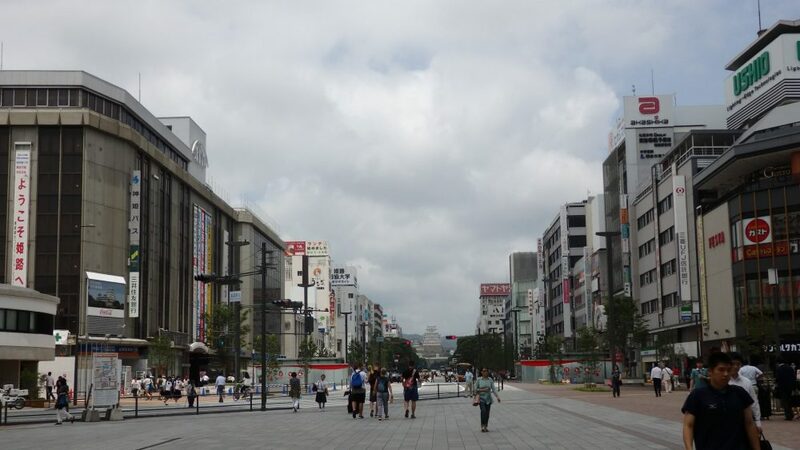 The walk from the train station in Himeji to the castle is about a kilometer. You can also choose to take a bus or a taxi. The castle is open 9-17:00 in September-March and 9-18:00 in April-August. Entrance to the “bailey” is free, but to enter the castle costs ¥1000 (¥1040 if you want to see the Kokoen garden as well.) That’s about $9 or €8. To get to Mt. 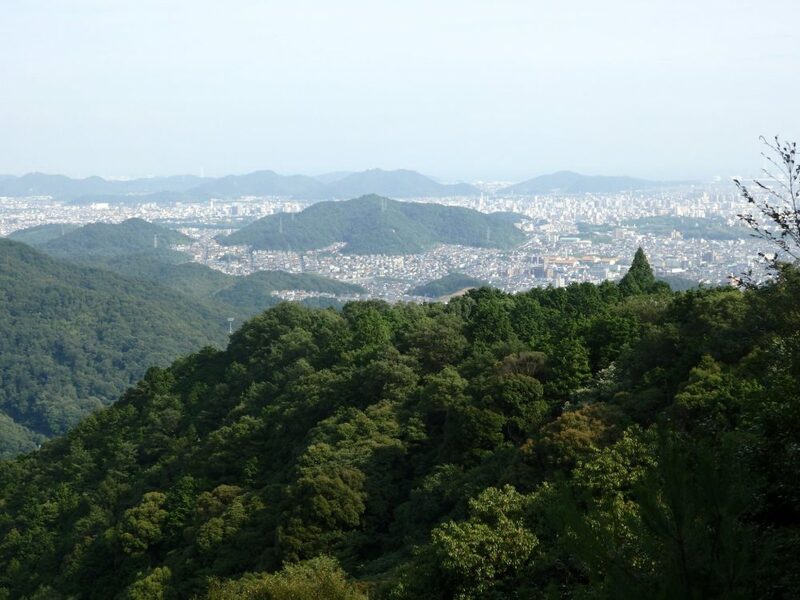 Shosha, take bus 8 from either Himeji train station or from the castle to the Mount Shosha ropeway stop. It’ll take about a half hour and costs ¥270 ($2.50/€2) one way. You can climb up the mountain, but that is a hike uphill of about an hour. 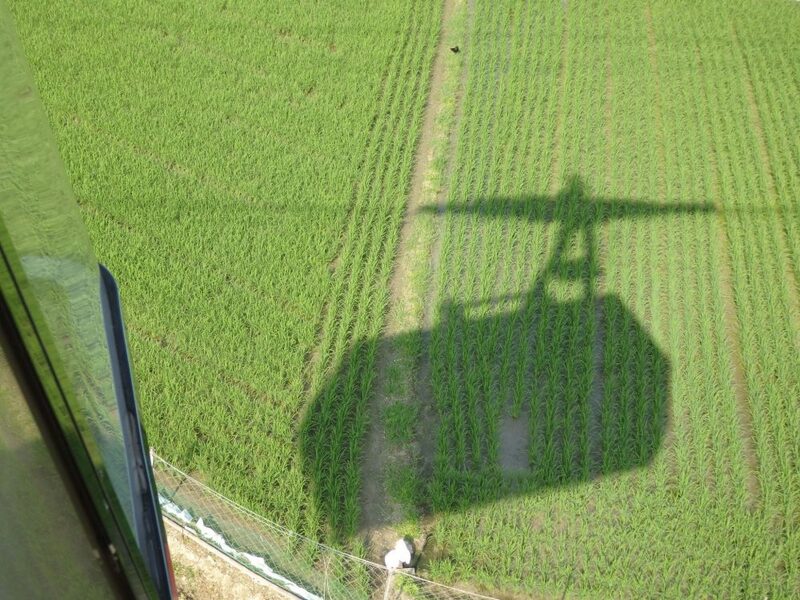 If you take the “ropeway,” like I did, it’ll cost ¥600 ($5.50/€5) one-way, ¥1000 ($9/€8) round-trip. The ride up only takes a few minutes. A combination ticket is also available that includes the round-trip bus from Himeji Station plus the ropeway for ¥1400 ($12.50/€11), saving you ¥140. You can buy it at the bus station next to Himeji Station. You’d save more, though, by taking the ropeway up and walking down. 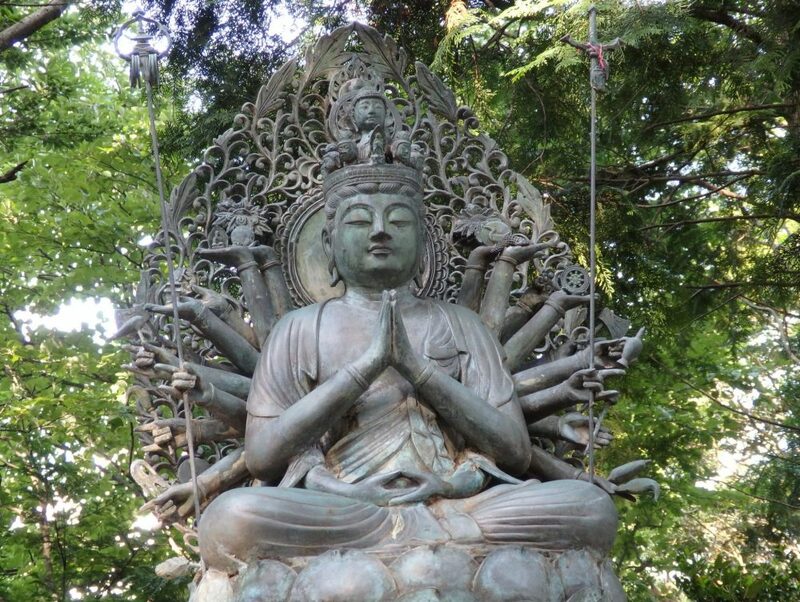 Once you’ve taken the ropeway up, the walk to the entrance to the temple complex takes about 10-15 minutes uphill, and then about another 15 minutes to get to Maniden. Although I didn’t see one, there is supposed to be a minibus between the ropeway station and Maniden that costs ¥500 ($4.50/ €4). If you can, I’d recommend the walk so you can enjoy the shady woods and the statues. Engyoji is open 8:30-18:00 but this may vary slightly depending on season. Admission: ¥500 ($4.50/ €4). If you’ve traveled in Japan, add a comment below telling about the highlight(s) of your trip! And please share this article on social media! The images below are formatted for Pinterest. 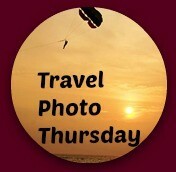 I am a co-host of the Travel Photo Thursday linkup. If you write a travel blog, please add your link by clicking on the button below. And whether you write a blog or not, make sure to check out these other great blogs! I never thought of comparing it to a cake, but I see what you mean! If you go back in spring, try to time it for the cherry blossoms. It would be crowded, I’m sure, but apparently it’s a real glimpse into Japanese culture to join in on picnicking in one of the gardens. I’d love to do that someday. I stayed in Airbnb places too, which were very affordable. Agree with the other commenters. This is such a beautiful. I do not think I have heard about this castle before. The Engyoji Temple and location is wonderful too. I always try to go to a high place to observe places from above. Glad you liked it, Ruth. Thanks for commenting! I really like the contrast of how traditional Himeji Castle looks compared to all the modern buildings along the boulevard leading to it. I don’t think that I saw any all-white castles when we were in Japan, so the color makes this one especially striking. When we visited, I think my favorite part was all the Japanese people we saw — cosplayers in Harajuku, salary men on the streets of Tokyo,women in kimonos, and all the people enjoying their hanami picnics in the parks during cherry blossom season. Hi Rachel. This is a gorgeous castle. They were closed for renovations the last time I was in Japan, so another reason to go back. I love that last shot of the statues. I’m always intrigued by how the Japanese dress them up. Me too! And in the late afternoon light, everything photographs well! 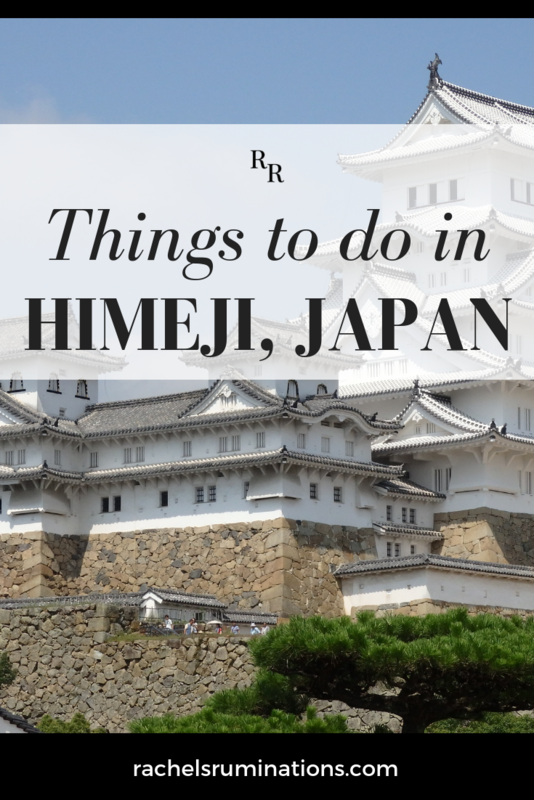 Yes, next time you’re in Japan, definitely check out Himeji!